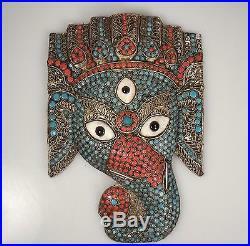 Vintage Nepalese or Tibetan wall plaque of Ganesh. It measures 10" x 6.5". 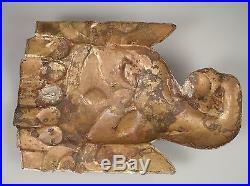 Very nice older piece and in good shape. 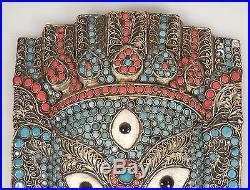 The item "Vintage Turquoise Coral & Brass GANESH Face Plaque Wall Hanging -Nepal/Tibet" is in sale since Wednesday, June 14, 2017. 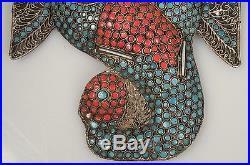 This item is in the category "Antiques\Asian Antiques\Tibet".